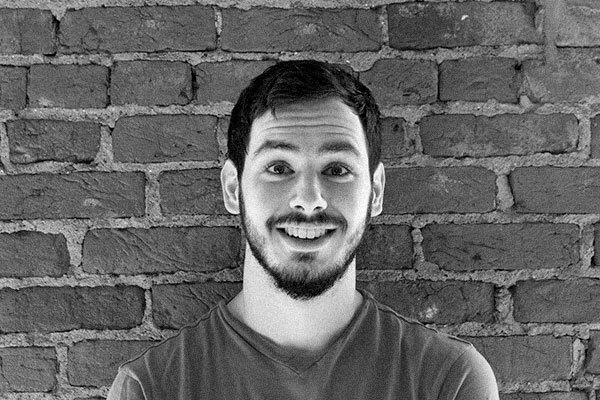 We're excited to introduce you to Ethan Muller, a great addition to our front-end development team. Take a moment to get to know him. We like him. You will too. Ethan is one of those guys that kind of makes you sick — but it’s a good kind of sick. He came to Sparkbox fresh out of school for our 2012 Summer internship, and (though barely two decades old) began picking up on things like a pro immediately. He cares about the things we care about. We care about the things he cares about. It was a no-brainer. He’s now part of the team. A front-end web developer with a designer’s eye, Ethan brings meticulous detail and finesse to every project we throw at him. Feel free to drop Ethan a note on Twitter @ethanmuller to welcome him to the team or ask him about the freaky horse head he’s chosen to add to our team page. In other news, we’ll be screening our interns for strange tendencies more thoroughly in 2013.